Native to southern Europe, northern Africa, and the Near East, occasionally escaped from cultivation. First collected in 1890 in Cheboygan Co. 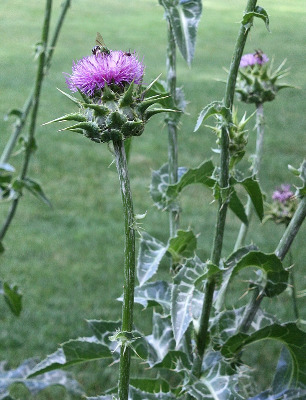 The large, auriculate, scarcely lobed leaves are spiny-margined, and the strikingly large phyllaries are spine-tipped besides having spiny margins on the expanded bases. MICHIGAN FLORA ONLINE. A. A. Reznicek, E. G. Voss, & B. S. Walters. February 2011. University of Michigan. Web. 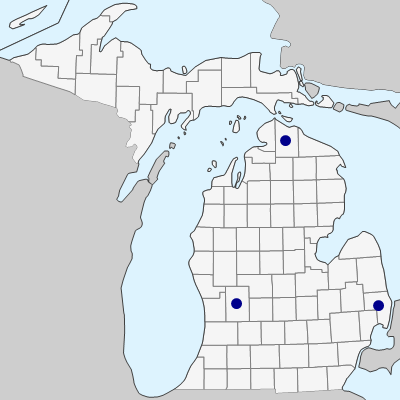 April 21, 2019. https://michiganflora.net/species.aspx?id=449.